The romantic appeal of Italy continues to draw in tourists and travelers. From the beauty and the history of Rome, to the modern atmosphere of Milan, Italy offers something for everyone. Want to do to a museum? Absolutely. Want to do a little shopping? Prada’s home is here. And wine tasting? You’ve come to the right country. The north region of Italy offers a picturesque scene with towns like Turin, Venice, and Verona. Central Italy is where you can begin to uncover the more artistic scene in Tuscany and Florence. Southern Italy provides the ruins of Pompeii and the popular Naples. The Amalfi Coast is a popular summer destination, while Sardinia or Sicily provides a water escape from the mainland. Nestled within Italy is also the separate state of the Vatican City. This boot shaped country offers everything from the Leaning Tower of Pisa to fine foods and a mild climate year round. The Egyptian Museum is a fine destination for history buffs, while the National Cinema Museum in the famous Mole Antonelliana in Turin is also quite popular. Since cars are a hot commodity in Italy as well, you might find the Automobile Museum in Turin to be a great attraction for your dream car fantasies. There are several airports scattered around Italy: Milan – with two of its won airports, Rome – with two airports as well, Guglielmo Marconi in Bologna, Capodichino in Naples, Galileo Galilei in Pisa, Marco Polo in Venice, and Sandro Pertini in Turin. Getting around the country is simple, with trains, boats, and cars all readily available. 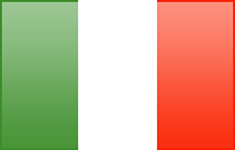 Book cheap flights to Italy here. Because of the high fashion and couture atmosphere, some of the hottest Italy Luxury Hotels and accommodations are available throughout the country – after all, many movie stars make their home here as well. But for those who want to make the most of their budget, Italy offers numerous hostels throughout the different areas of the boot. Don’t forget Italy Restaurants. Book your hotels in Italy here. © Copyright 2002-2019 Canuck Abroad™ Flights & Travel, All Rights Reserved.